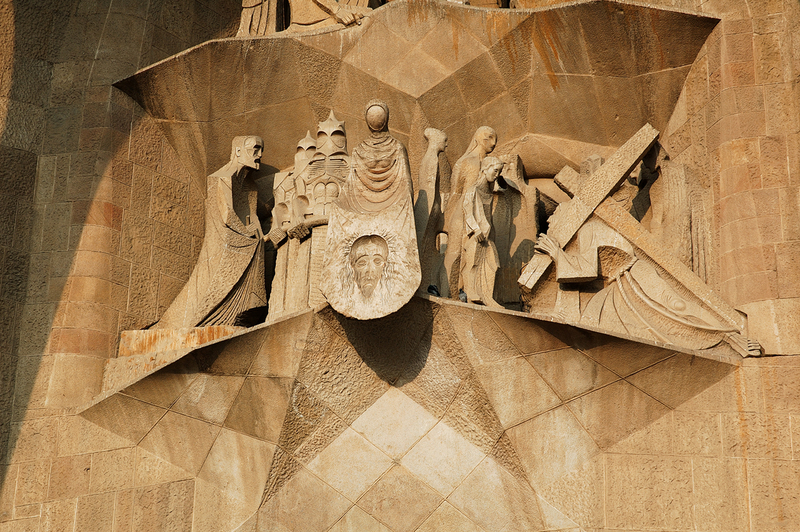 Once more I show you a scene from the Passion of Christ (not the film) at Sagrada Familia and one more time I am in a hurry. I am devoting more time to the pictures than to the post itself. As a matter of fact this is a photoblog not a journal or a diary. On the other hand, I know many of you are fed up with touristic pictures but some others can see beyond the obvious and admire the unrefutable beauty of Catalan patrimony. This picture is dedicated to architecture lovers. Are we daily bloggers carrying our own cross for the sake of others? That I leave up to you, but believe me sometimes it feels like redemption. I think ,there are many of us, who loves to see objects both old, historical, modern and between them. Don`t give up yet any way! It's a very good sculpture, thank you for spend so much time to capture the spirit of this wonderful picture so that we can share much in the other place.